Aug. 7, 2017 | 10:20 a.m. It's not always easy to anticipate a drastic change in an ecosystem. People may think of ecological change as a slow, long-term process that makes itself known before a big, noticeable shift occurs. But sometimes these changes can happen relatively quickly, and without obvious warning signs. Stephen Carpenter, director of the Center for Limnology at the University of Wisconsin-Madison, is among the scientists trying to learn how people might be able to get a better idea that dramatic change in an ecosystem is approaching. These shifts are happening around the world. In a June 22, 2016 presentation for the Wednesday Nite @ the Lab series on UW-Madison's campus, Carpenter pointed to examples ranging from die-offs in coral reefs to the emergence of the Sahara Desert from a much wetter landscape. In his talk, recorded for Wisconsin Public Television's University Place, Carpenter focused in particular on algal blooms fueled by excess phosphorus, a key aspect of the center's investigation of environmental change in the Madison area's Yahara River watershed. Carpenter's research relies on a mix of in situ experiments and computer modeling. The latter uses concepts that attempt to create mathematical abstractions of forces that create change in ecosystems. By representing variables like phosphorus loading as mathematical concepts, researchers can apply them to all manner of ecosystems with different factors at play, whether they're rangelands that face overgrazing or coral reefs in danger of bleaching. The effect of nutrients on Peter Lake (left) and Paul Lake (right) were explored in a study on algal blooms, with the former serving as the experimental focus and the latter as the control. These types of simulations essentially attempt to measure how much conditions within an ecosystem vary and how resilient it will be amidst change. The hope is that these models can help scientists and policymakers have a better idea as to when an ecosystem is becoming more ripe for a big change and, if that will cause problems, make decisions to address them. Better still, he said, people could take proactive steps to make the features of ecosystems they like more resilient. "The big changes are very rare, but when they happen they're important, and they're hard to predict in advance," Carpenter said. As of the time of his talk, Carpenter had established some evidence for these methods and theories, though in the context of simulations carried out under ideal conditions. If these experiments hold up in a much less tidy real-world setting, they could help to make abrupt ecological changes a bit less shocking. Computer models of ecosystems all have some common features. They take into account the current state of a system and the conditions that could drive change, from soil and water nutrients to animal populations, changing the conditions to project outcomes. Resilience is a measure of how stable an ecosystem is amid changing variables. If it's not resilient, "a little push" can make for a big change in the ecosystem as a whole. Thousands of years ago, the present-day Sahara Desert was much wetter than it is today. Researchers have been able to trace its changes by figuring out how much dust was blowing into the Atlantic Ocean over the course of thousands of years. Dust deposition was stable and low for a long time, but around 5,000 years ago, there was a significant increase. Over the course of just a few hundred years, the area became far more dry. But from looking at the dust deposition levels before this change, one would not have necessarily anticipated the desertification. This example helps illustrate how major ecological shifts don't necessarily announce themselves ahead of time. A generic indicator is a statistical pattern that emerges before big changes in many kinds of complex systems. Researchers started trying to apply this concept to changes in ecosystems around the year 2000. These concepts can be used to guide environmental management decisions, and project whether human intervention can keep an ecosystem from "going off the cliff," as Carpenter puts it, or if the ecosystem is bound for dramatic change independent of any policy actions. In experiments investigating algal blooms in a pair of lakes named Peter and Paul, which are located adjacent to each other in Michigan's Upper Peninsula, Carpenter and his research group were able to find statistical warning indicators 20 to 40 days before an actual algal bloom materialized. Some of the indicators of a bloom coming are the presence in water of pigments known to exist in cyanobacteria. 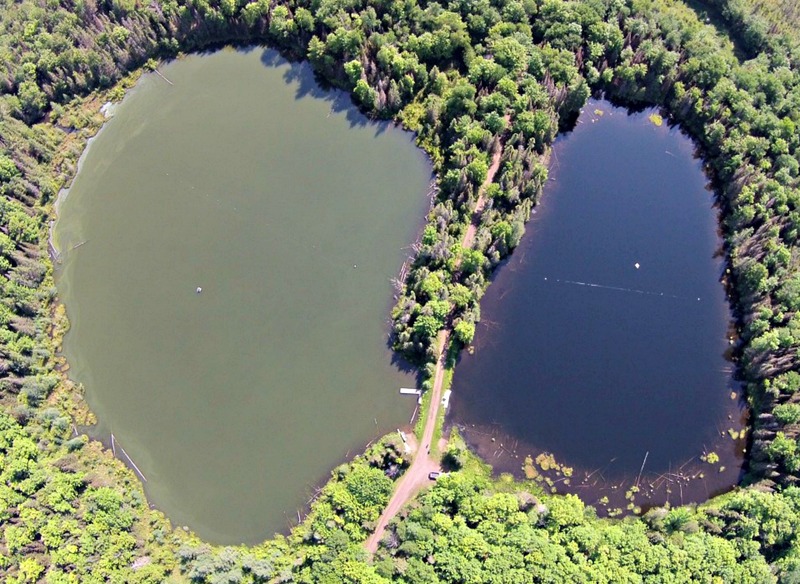 Other limnology researchers have figured out a way to map pigments in a lake. This works opens up the promise of applying the theories Carpenter explores to spatial dimensions, whereas so far statistical models have only mapped them over time. On a change in scientific attitudes toward predicting ecological change: "Up until about 15 years ago, we thought there were no good ways of predicting the transition between states, so they generally came as surprises and often they were very expensive surprises. We're now beginning to get a clue that there are various ways of predicting these transitions." On the basic premise of his research on ecological change: "The idea is to monitor the drivers and conditions that lead to big changes and point out that the ecosystem is at risk. For example, I don't really need a very specific sophisticated indicator of algal blooms in Lake Mendota because there are 40,000 cows out there and those cows have been dumping manure on the ground and in the streams all winter long, and I'm pretty sure that as soon as we get some big thunderstorms, that manure's going into Lake Mendota and it's going to turn green." On newer research using maps to chart changes in ecosystems: "It would be really useful if variability in space could give us an early warning of a change of a big change in an ecosystem. The reason is that it's very very laborious to measure everything every day all the time." On how predictions can aid in environmental management: "Big changes can occur, and they can occur reasonably quickly by human standards ... in resources that we might care a lot about. So we might need that lake for drinking water, for fishing, for recreation. Coral reefs are the basis of huge recreational industries in the countries where they occur, and many of those are poor countries where that recreational industry is a key part of the economy. Rangelands are obviously important economically for food production, forests for wood and fiber production and so on, and these things can undergo really big changes." Editor's note: This article was corrected to note that Peter and Paul lakes are located in Michigan's Upper Peninsula.